Learning about herbs and how to use them in a responsible manner can be bewildering and overwhelming. Especially when you want to serve others. You can easily take a wrong turn. And end up in a ditch. But you can relax now… you’ve come to the right place. The Herb Academy has been plotting the best herbalist training route to take – and marking out milestones along the way – since 2004. And we’ve made it easy and affordable to learn at your own pace. All Herb Academy courses are distance learning (home study) programs and the course materials are delivered via the Internet (password protected website). We’ve broken a complex study field down into easily completed smaller independent courses that takes the strain off your time and your budget. Simply follow the milestones along the “Herbalist Training Path” and you’ll soon become a knowledgeable and competent Family Herbalist, Herbal Adviser and/or Master Green Healer. Need information about Accreditation? TAP this link. Please note that this is just our suggested Herbalist Training Path! Feel free to jump around after you’ve reached Milestone 1. Design your own herbalist training path or use our proven paths. This path is for you if you want to take better care of yourself and your family. It is also popular with people who want to start making and selling their own herbal products. If you’d like to serve clients as a holistic health and wellness coach please see the Green Healers Apprentice path further below. This course enables you to use herbal remedies safely and with confidence. It also introduces you to the various disciplines within herbal medicine which enables you to plot your own learning path. It’s one of the best introductory herbal medicine making courses. Period. Read the course reviews if you are skeptical. Make a good part-time living growing and selling herbs and herbal products, or running a part-time niche health coaching practice. A part-time endeavour can involve a heck of a lot of fun, as well as a tremendous amount of personal and professional growth and satisfaction. View the class outline. The whole thrust of treatment in herbal medicine is different from that of conventional chemo-therapy. Herbs are used to provoke a healing response by the body rather than to directly home in on the symptom or pathology. In Working With Nature’s Apothecary you’ll learn the philosophy of natural healing and you’ll gain firsthand experience in using seven simple but effective natural healing protocols that focuses on key body processes. View the course curriculum. Basic botany and plant identification are absolutely essential skills in the repertoire of the family herbalist, traditional healer or herbal adviser. The Advanced Herbal Medicine Making Course is aimed at people who want to take their herbal medicine making skills to the next level and at people who dream of a herbal products business. It is also popular with medical doctors, traditional healers, therapists, and health practitioners using other modalities and forms of medicine who want to use herbal medicine to be of better service to their clients. 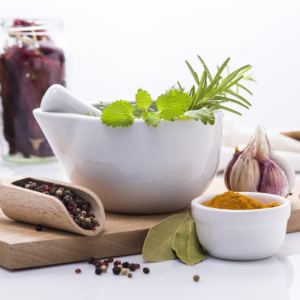 View the Advanced Herbal Medicine Making curriculum. 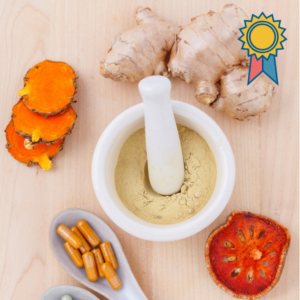 When you’ve earned the Certificates of Completion in all five of the following courses you’ll be awarded with the Family Herbalist Certificate of Completion as a testimony of your outstanding achievement. View the Course Bundles page for enrollment options. This herbalist training path is for those that want to use their new knowledge and skills to serve others. Most participants start practicing as holistic health and wellness coaches. If you want to serve others you need a solid grounding in herbal medicine. The Family Herbalist training above provides you with that background. The Green Healers Apprentice is a hands-on holistic health coaching learning program designed to help discover better health God’s way and to expand your Green Healers Medicine Chest. You’ll learn and experience first hand how to help clients boost mental and physical energy levels, lose weight, prevent and reverse disease, and switch on anti-ageing genes. In Level 1 you’ll learn the principles of health, well-being and the Modern Nature Cure. It is intended as a foundation for those that want to study the holistic health therapies in more detail in Levels 2 and 3. View the Novice Green Healers Apprentice curriculum. This course builds on the foundation of the Herbal Therapeutics for Family Herbalists course. Your focus will be twofold: (1) Expanding your materia medica, and (2) studying the Green Healers approach to common disorders. This course is currently under revision and no new students are accepted. When you’ve earned the Family Herbalist Certificate of Completion and all three Green Healers Apprentice Certificates you’ll be awarded the Master Green Healer Certificate as a testimony of your outstanding achievement. Define your health and wellness coaching packages. Quantum leap your existing health and wellness coaching practice. Join The Herb Cafe to meet and rub shoulders with other aspiring and professional herbalists and holistic health coaches. We’ve just launched this group. Will you be one of the first to join?